I love botanical gardens. Whenever I travel, one of the first places I try to see on my trip is the local botanical garden so I can get a healthy dose of nature. If you’re in Vancouver, the VanDusen Botanical Gardens are stunning and worth visiting no matter what season. 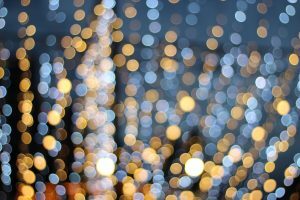 Back in December, VanDusen put on Vancouver’s Festival of Lights, and they’ll be going on until January 6th, and if you haven’t seen it yet and are in the area, you really must go! In the last few years, Vancouver’s Festival of Lights has brought over 100,000 visitors to the VanDusen Botanical Garden because of how stunning the whole thing is. The Christmas light displays are spread across gardens on over 15 acres of land, and the whole thing makes use of over a million lights. As if the light displays weren’t enough, there are also light shows every half an hour, as well as a carousel for the children. You’ll want to set aside at least an hour to get through the whole thing, though I spend way more than an hour exploring the light displays myself! The VanDusen Botanical Garden will be open from 4:30 in the afternoon til 9 in the evening for the Festival of Lights, but remember to drop by before January 6th! Admission to Vancouver’s Festival of Lights depends on how old you are when you go, but tickets range in price from $11 to $23, and it’s cheaper to buy them online. You can find the VanDusen Botanical Garden at 5151 Oak Street in Vancouver, and there’s parking along Oak street and the side streets, though you can sometimes find parking in the lot just off West 37th.